Change Meridian is dedicated to working with individuals, teams and organisations to help them accelerate progress in complex, changing environments. "Having engaged Michelle a number of times, we are very impressed with her ability to facilitate groups of all sizes with natural ease. Michelle has worked with our Senior Leadership Team and also with our wider team of over 80 staff members, on both occasions Michelle provided extremely valuable sessions. Her ability to draw out key outputs and actions from these sessions that then flow through to results is second to none. Her collaborative approach to these sessions sees Michelle really get to know the team and our needs. She facilitates interactive, open and meaningful sessions that we would highly recommend to any sized team." Getting leaders fit for the future of work by helping them design and execute their leadership pathway, and building their capability to thrive in a complex, changing world. Facilitating and nurturing team dynamics and individual capabilities to build and sustain a healthy culture to ultimately make change happen and deliver more effective outcomes. Supporting clients to create the capability and capacity for leaders and teams to thrive through change, accelerate their progress and in turn, deliver better organisational results. 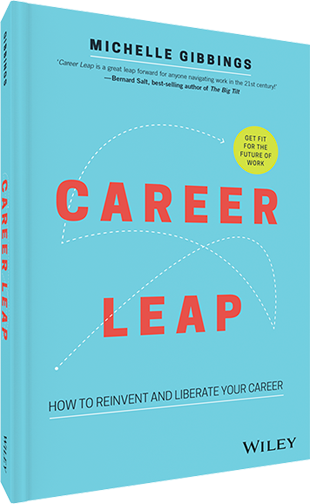 How would it feel to know that you had in your hands all the tools and techniques to land a new career – whenever you wanted it? Are you too quick to judge?